We're not big fans of so-called teaser images, the ones that drop veiled hints about future models and which are intended to drum up interest. 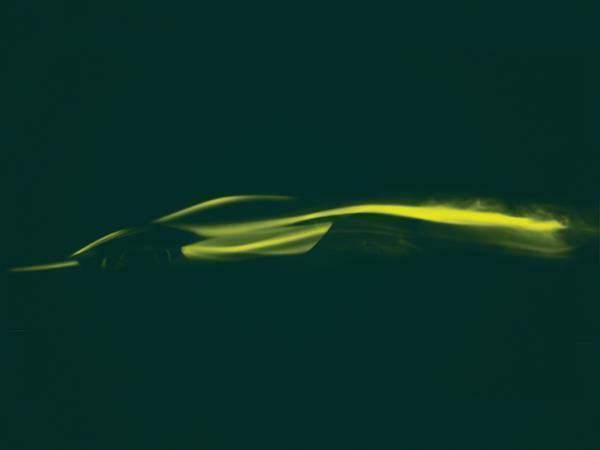 Images like the one you see here, in fact, an abstract image of something low and sleek which marks the total imagery Lotus has released about the electric hypercar it has just told the Shanghai motor show that it is building, and which is currently known as the Type 130. The other issue with such teasing comes when - as here - we actually know a fair bit about the car and the picture isn't going to do much of the telling. So this is going to be a bit word heavy. PH has already seen a nearly finished model of the 130 in the design studio at Hethel and can confirm that it is reason for genuine excitement. It's a proper hypercar: low, muscular and with some of the most spectacular aerodynamics ever fitted to a road-legal car, none of which you can see here. It is also going to be the most expensive Lotus road car of all time, with what we're told to expect will be a seven-figure price tag and - almost certainly - the quickest as well. Let's start all Donald Rumsfeld with the known unknowns. Or, at least, the ones that Lotus is keeping most closely guarded at this point. We know the Type 130 will be pure electric with a battery pack mounted behind its two-seat passenger compartment. We also know that it will be all-wheel drive and that the powertrain is being jointly developed with Williams Advanced Engineering, two of the most famous names in Grand Prix racing collaborating. 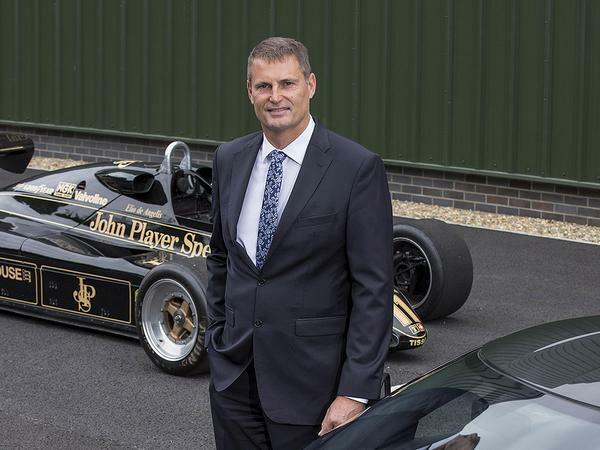 But beyond that, and Lotus boss Phil Popham's promise that it will offer an "entirely appropriate" level of performance for its market segment, all is speculation. Based on the car's price and positioning we'd be surprised if the system's total horsepower tally didn't run into four figures, and if range wasn't at least 250 miles. But we have to wait and see on that front. The styling, though, is jaw-dropping. Created by a small team led by Lotus's long-serving design boss, Russell Carr, work began on the 130 pretty much as soon as the ink was dry on the contract for Geely's acquisition of a majority stake in the company. Length is similar to the Evora but it is lower and the width is pushing two metres. The core structure will be carbon fibre, and the body will be tightly proportioned to better allow airflow to pass around it. The best feature is one that isn't even hinted at in the official rendering, two huge air channels that effectively tunnel beneath the rear bodywork and which will have the elements of the tail lamps built around them. It's a detail that Carr says has been inspired by the venturi gaps of LMP race cars. For anyone standing behind the Type 130, or trying to keep up with one, the most striking thing about it will be what isn't there rather than what is. Given Lotus's minimalist ethos, that seems fitting, doesn't it? These tunnels will incorporate lighting element to better show them off in the dark, and there will also be a transparent cover which will show off the top of the battery pack and also the pushrod cranks for the rear suspension. Carr says the 130 will also have a sizeable underfloor diffuser to generate significant downforce, with other active aero features including DRS flaps. Like the Pininfarina Battista, this is an EV that has definitely been designed for high-speed work. The cabin will feature a predictable quantity of carbon fibre and a minimal digital instrument pack, but the plan is to have a centre console with switches rather than just a touchscreen. "You want to be able to find functions without taking your eyes off the road in a car like this," Carr says. Passenger space will be more generous than in a Ford GT or an Aston Martin Valkyrie, with enough shoulder space to stop occupants from having to get intimate with each other and sliding seats instead of a moveable pedal box. "We're trying to get the balance between prestige and luxury right," Carr says, "but also to make clear that this is a very high performance car. We don't want people to think it's a stripped-out track day monster, it will be much more practical than that. But equally we don't want to make a Bugatti either, it has to be a Lotus." There are some other special details as well, including a camera-based rear view system which uses pods that motor out of the doors rather than conventional mirrors, these relaying images to a pair of screens in the cockpit. It's a very similar idea to the one that McLaren recently showed as featuring on the forthcoming Speedtail. "We were frustrated when we saw those," Carr admits, "we'd been working on the same idea for some time." Great minds clearly think alike. The good news is that we won't have to wait very long to see more detailed images of the car, with the 130 set to be formerly unveiled at an event in London this summer when it will also gain a more Lotus-appropriate name - suggestions in the comments, please. It will be available to order later this year and the small group of buyers will be taking delivery of their cars as soon as 2020. It's definitely a halo model rather than the future of the brand - we will have to wait a bit longer for Lotus's more accessible next-generation sportscars - but isn't it nice to have some good news from Hethel again? It'll be great to see this out there competing with the rimac etc al. “Simplify, then add lightness”.. Angels weep. Even though a mild phev might make more sense and we all hope for them to stick with ic engines, it is great to learn that Lotus remains to move forward. 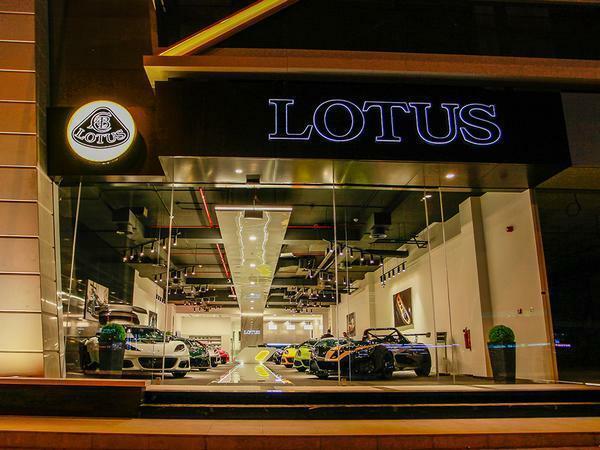 Lotus has always been about moving forward and innovation. Lotus introduced the world to a lot of firsts over the years and in their hayday were at the forefront of racing technology. EV is the future and there is no getting around that at the moment, Lotus as a company has experience with EV power trains and it makes sense . It seems to be taken seriously as a sports car manufacturer today you need to have a hypercar and it will generate a lot of publicity for Lotus. Cannot wait to see it. "We're not big fans of so-called teaser images, the ones that drop veiled hints about future models and which are intended to drum up interest." Then why run every single one from almost every single manufacturer then?